Then I'm planning to go further to Belém, someone told me before the price is R$150, but the only agency I found says it's R $200 and that it's a promotion. 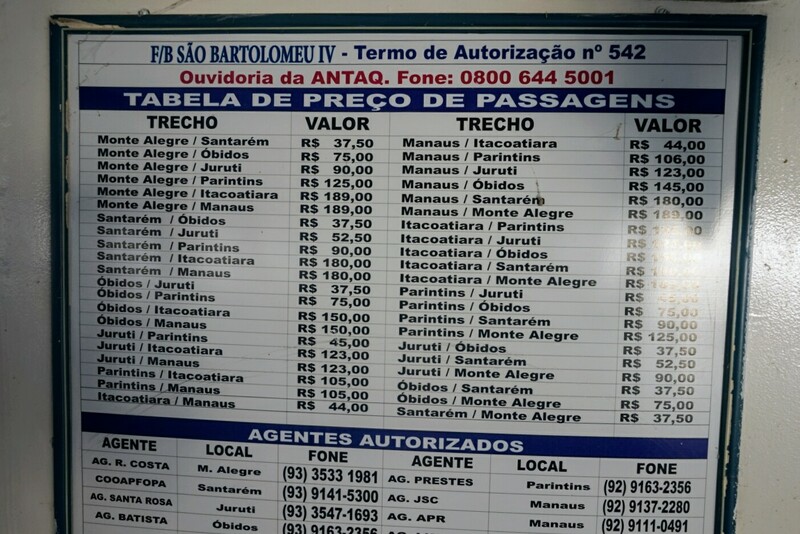 There's no price neither in the agency nor on the ticket I had from Manaus. Is there some official pricing list for these boats that I can reference when buying the next ticket? I'd treat the one on the boat as the official one, but I'm confused why I paid half the price. As a rule of thumb, any board, if not written with chalk or easily editable, is outdated. Note getting back by the river is not (necessarily) the same price because the river flows from Manaus to Santarém so Manaus-Santarém is a 30h trip while Santarém-Manaus is a 42h trip. 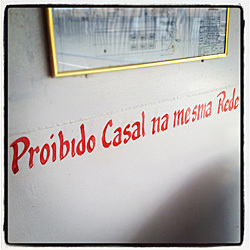 I was not able to find an updated site with prices, but I did find some blogs about the Santarém-Belém leg. If you seek adventure and to blend with the locals it will be a nice trip. Personaly I cannot do that unless by a regular airline because of the (lack of) comfort and time. Not the answer you're looking for? Browse other questions tagged tickets brazil riverboats amazon-river or ask your own question. Can somebody recommended a tour for the Amazon in Ecuador?